EIP 575 18GHz Source Locking Microwave counter with GPIB Interface. Opt 9 (rear input). IN STOCK. HP 5316B Two channel Universal Programmable Counter. 8 digit resolution. Measure freq., period, ratio, time interval, totalize. 10mV sensitivity, x1 and x20 attenuator, adj. trigger level. IN STOCK. 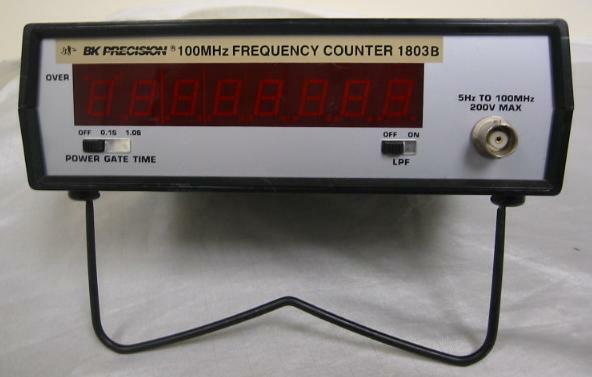 HP 5343A Microwave signal frequency counter 26.5GHz. Opt 011 (GPIB interface). 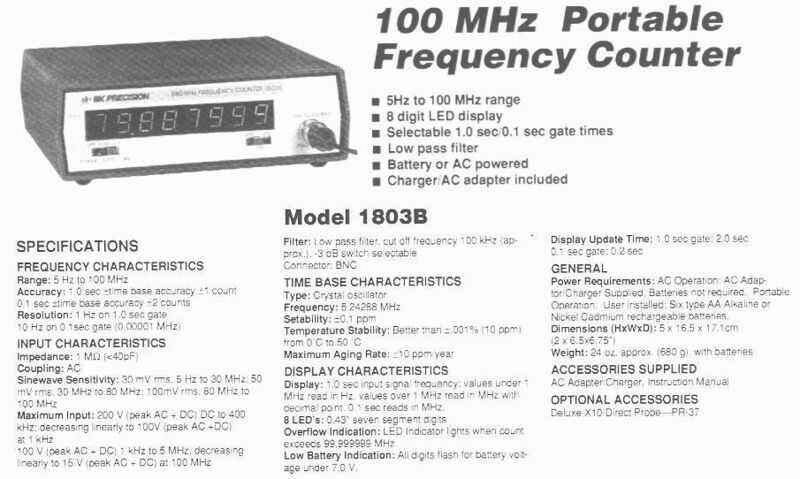 HP 5345A Universal Counter 500MHz, 25mV sensitivity, 9000 measurements per sec. Opt 011 (GPIB interface).